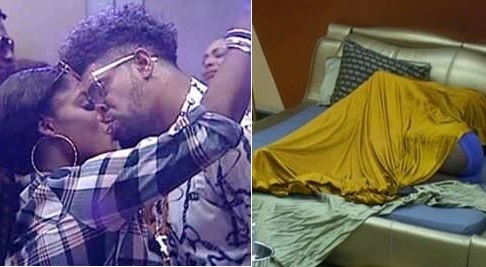 A member of Nigerian Single Mother’s Association, Funmi Akinyode @fumsky has written a letter to Big Brother Naija Housemate, Bisola for giving a married and father of two, Thin Tall Tony BJ live on TV. “Dear @iambisola, we the association of single parent are disappointed with your act on national TV few days ago.. I followed you because of your presence on social media. Anytime I go through your page whenever am tired from work or bored, I can’t help but laugh and still praise you… When I now found out that you are a single mother and doing well for yourself with over 100,000 thousands loyal followers I said to myself, Funmi, when will you get here?. After what you did, I wonder what you do on a good day when no one is watching. While you were giving someone a head on national TV, weren’t you thinking of throat cancer?Don’t you love the daughter you hustling for that much how she will feel when she grows up? (Even the so-called married man doesn’t even know if you have epileptic diseases and he left his private part to a total stranger..)after 10years when your princess is all grown up, someone somewhere will bring this act of yours, and she will never forgive you for this stupid act. Bisola, once you are a mother or father, your life, and what you do doesn’t belong to you 100percent.. again. You must live a good legacy for your children to follow. What will you tell little princess if she comes home and tells you she gave someone she just met at a party a BJ when she grows up? Bisola, I dunno know how you were brought up but your life can be better, and you can make it better than your parent. Dear Bisola, the deed has been done. When you get out of big brother Nigeria, just go to GOD and ask him for forgiveness he’s ever faithful and merciful. He will cleanse all sins and make your part straight again.. Just keep doing what you good at.. Make us laugh again..